Over many centuries Deal has gone by various forms of name, such as Dola, Dale, Dele, Deele and Deale. It has been accepted that the name is descriptive of the low-lying situation of the area. Lombarde, the Tudor historian of Kent, said that the name was derived from the Saxon “dylle”, meaning a plain. Further research has shown that Deal was mentioned in the Survey of Domesday (Domesday Book) from 1085 and is written as Addelam. The phrase “ad Delam” can be translated as “at Deal” and “in Addelam”, also translated as “in Deal”. The Latinized name of Deal is Dela and it would appear that “Addelam” is a variant of “ad Delam”. The name of Addelam was not to be forgotten, as with much of Deal’s history there are roads and streets that use these names from the past. Following a recent conversation I was told that there had once been a large house built in Upper Deal called Addelam House. 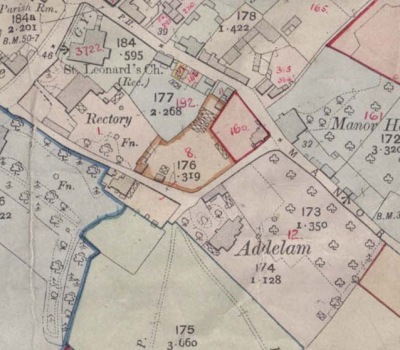 The estate once stood on land now occupied by houses forming part of a cul-de-sac named Addelam Road, situated along Pilots Avenue in Upper Deal. A man who has lived in Deal all his life, Les Coe, explained that his father had been a gardener at Addelam House and can fondly remember having visited the estate as a child. One former resident of Addelam House was a man named David Fraser, a military tailor. Mr. Fraser arrived in Deal around 1870 on receiving an appointment at the Royal Marines Depot. 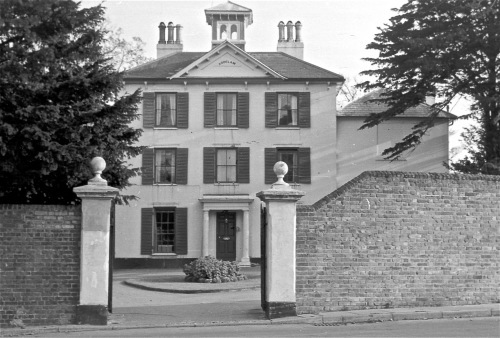 He had previously lived in 4 other houses in Deal, along Blenheim Road, Albion Terrace and Queen Street, before eventually moving into Addelam House. He fathered 6 children, one of whom died young and was buried in the grounds of St. Andrew’s Church. Mr. Fraser lived in Addelam House for some 30 years prior to his death in 1920, having past away in the house at the age of 72. He was buried at St. Leonard’s Church, in a plot together with his wife and one of their daughters. The remainder of his family then moved out of the house shortly afterwards. Addelam House was later owned by the Bird family and it is believed that a couple of ladies from the Bird family had attended the funeral of David Fraser. The Bird family are believed to have been the last family to have lived in Addelam House before it was finally sold and demolished during the 1960’s. The house appears on several maps. The oldest is the Tithe map of 1843. The other one we have is the IR1910 Survey based on the 1906 map for Deal at 25 inches to the mile shown to the right. It is property number 12 in the Field Books for Deal and this information is held at The National Archives.